Amsterdam is an utterly romantic city. It seems tiny and enormous all at once – although the city is incredibly dense, it has all the charm you’d expect from a small town. Part of that character comes down to one of the city’s most quintessential details: the canals. 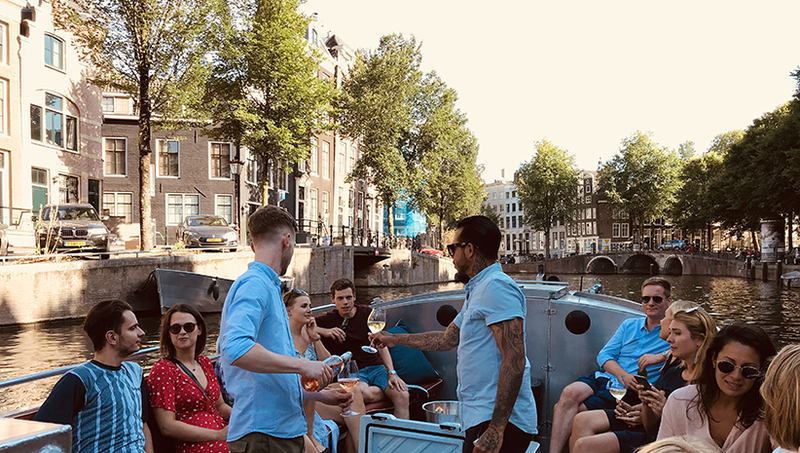 Join us for a cruise and experience the history of Amsterdam’s waterways, and how it came to be the incredible destination it is today. Treat yourself to a private cruise on a small boat. You’ll love it! Go when and where you want. Our experienced skippers are the perfect guides. Pick-up times are flexible. We have boats to accommodate groups of all sizes. Wether its just sightseeing or you would like drinks and snacks along the way, it’s all possible with us. Request a quote here. Get ready for a wonderful evening on the canals. Enjoy a delicious 3 course dinner that we’ll pick up from a restaurant along the way. Times and duration are according to your wishes. Request a quote here. 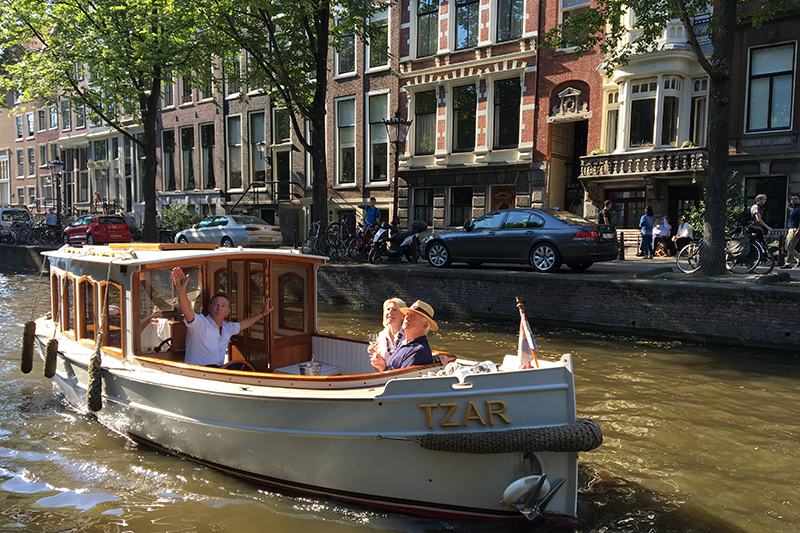 CRUISE SPECIAL: Book a cruise on our small group salon-boat Tzar. 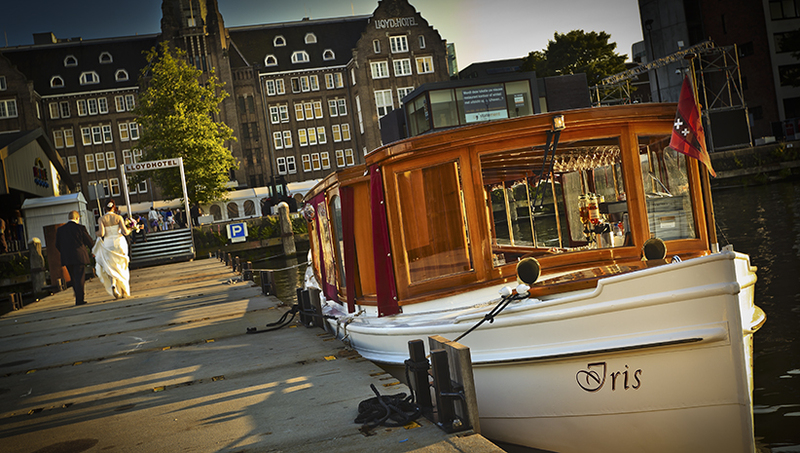 We will take you on a 1,5-hour tour of the canals for only 275,- Book this cruise here. 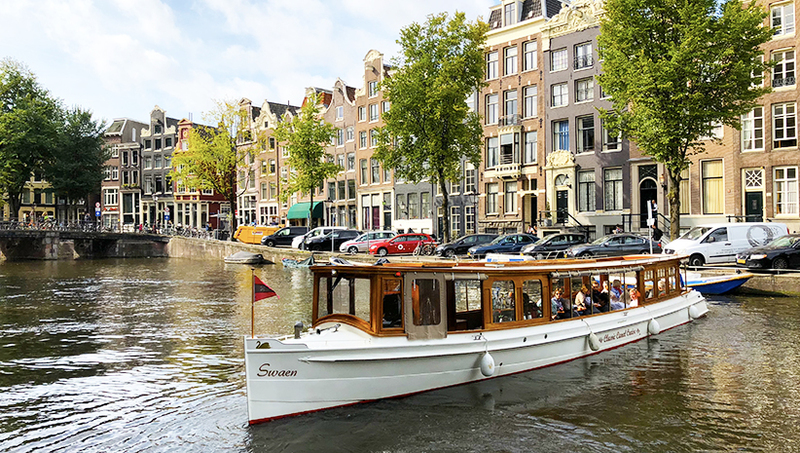 A visit to Amsterdam isn’t complete without enjoying the canals. They are a symbol of Amsterdam and of great cultural and historical value. 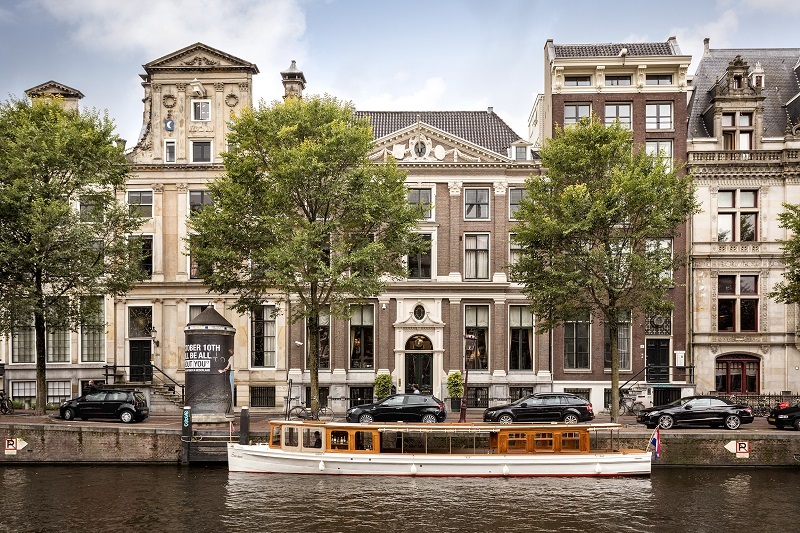 In 2010 the World Heritage Committee decided to submit the 17th century canal ring area in Amsterdam to the UNESCO World Heritage List. Theres nothing like cruising the canals in the open air. The perspective is breathtaking! Enjoy the historic architecture in full view. Our open boats are built for comfort with w.c. onboard. Request a quote here. Do you have a special occasion coming up? 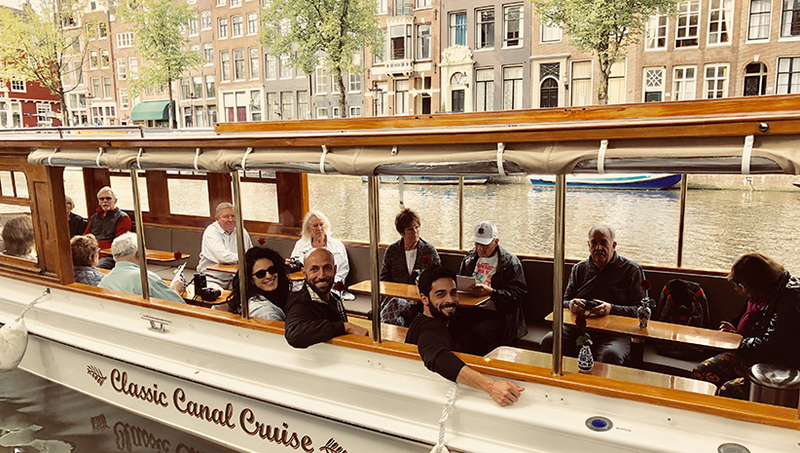 Our team has years of experience on the canals and can help you create the best day ever! Request a quote here. Looking for a great restaurant or other tip to combine with your cruise? 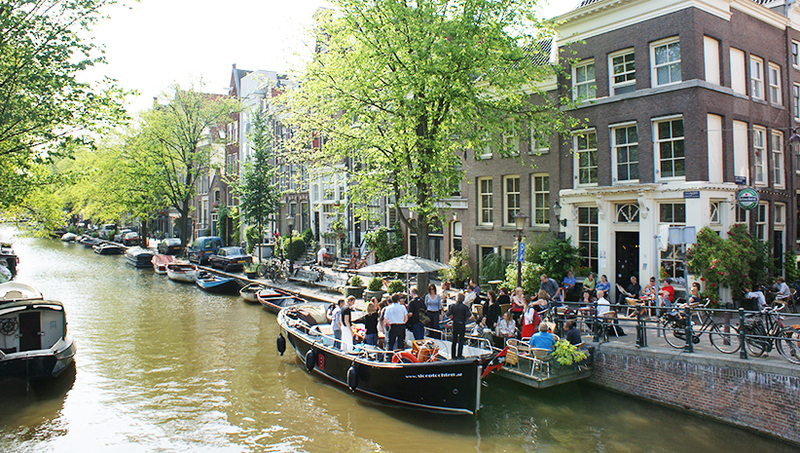 We’ll share our favourite spots in Amsterdam. Lets go! 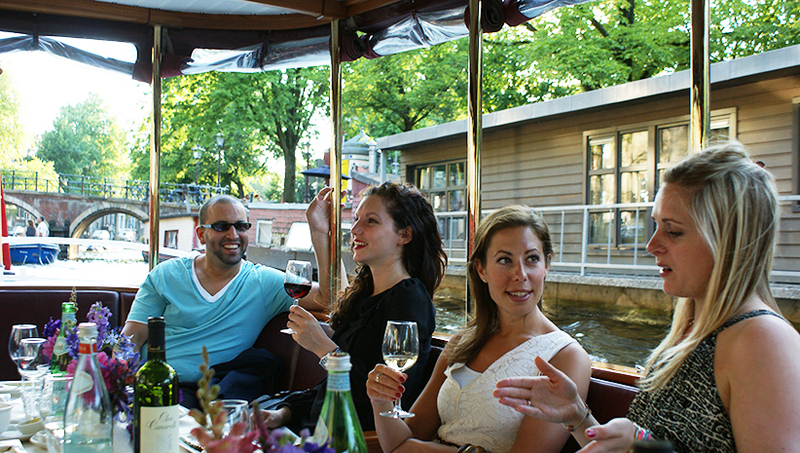 The Amsterdam Boat Center provides information and tickets for canal cruises and private boat tours for groups of all sizes. Visit us in the center of Amsterdam near the Dam square and we’d be happy to show you the best way to see Amsterdam!